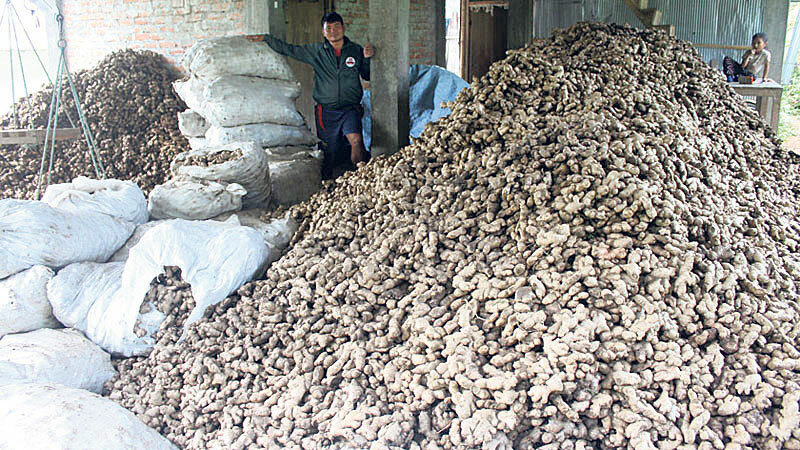 JHAPA, Nov 30: Export of Nepali ginger to India has been affected after the Indian government started levying 8 percent duty on the Nepali farm product. 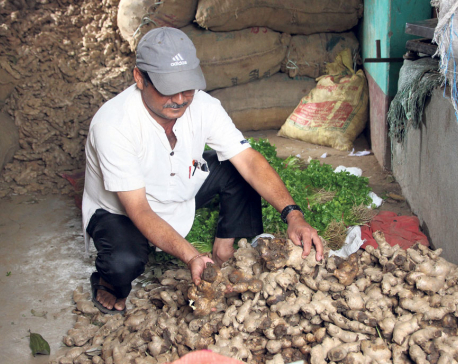 Because of the decision, Indian traders have stopped purchasing ginger from Nepali farmers. This has brought export of Nepali gingers to India through the Kakarbhitta Customs Office to a grinding halt. Not a single truck carrying Nepali gingers has left for India in the past two days. 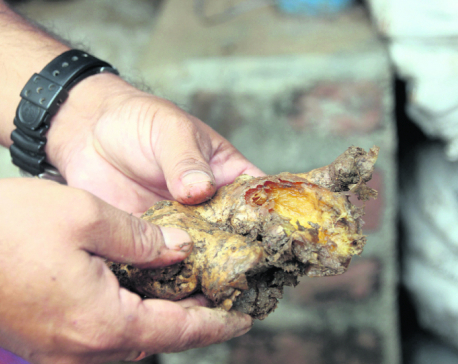 According to Nepali traders, Indian importers have told them not to send ginger to India. “The Indian government has started levying 8 percent duty on Nepali ginger. This decision has discouraged Indian importers from buying Nepali products. They are saying that they would not buy our products until the decision is rolled back," said Narendra Khadka, the president of the Nepal Gingers Producers and Traders Association (NGPTA). Khadka said that the recent decision has impacted thousands of quintals of ginger ready for export to India. According to local traders, Indian traders have to acquire permit from the Indian customs office before placing an order for Nepali ginger by paying 8 percent of the market value as 'permit duty'. Three months ago, India had put a ban on ginger importers from Nepal citing high pesticide residue in the Nepali farm product. India had also alleged that Chinese ginger was being imported to Nepal in large quantity branding them as Nepali product. The ban, however, was lifted after 25 days after lab tests showed that there was no harmful pesticide residue in Nepali ginger. Nepali traders and farmers had also been suffered from the recent demonetization of 1,000 and 500 Indian rupee bills. But the recent imposition of new duty has brought ginger export to a halt altogether. An official of Mechi Customs Office told Republica that not a single trader have approached them in the past two days for 'ginger-related' services. “I am surprised as this happens to be the peak season for ginger exports,” the official added. According to Indian importers, customs offices under Bihar state government has written to all India customs units to impose 8 percent duty on import of Nepali gingers. “We cannot import gingers if we have to pay such a high duty," Jagannath Sharma, an Indian trader, said. "The decision should either be rolled back, or reviewed,” he said. “We can't make any profit by importing Nepali ginger if the new duty is levied,” added Sharma.